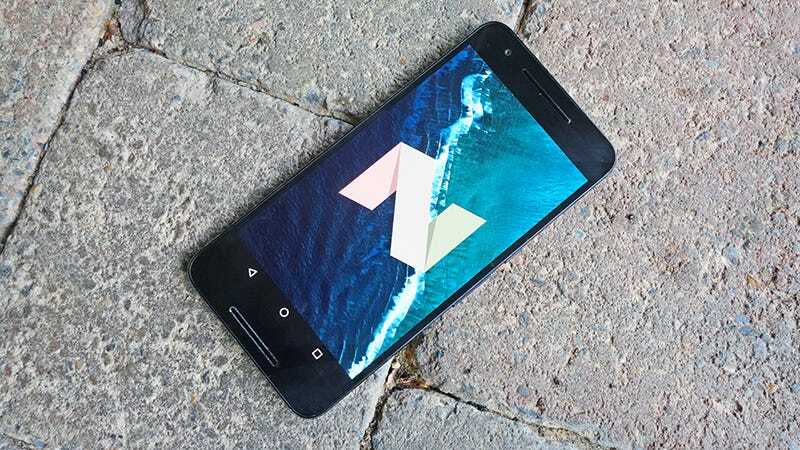 Android 7.0 Nougat is rolling out to Nexus devices right now and will eventually reach devices from other hardware makers in the coming months. Whether you’ve just downloaded it or are still awaiting the update, these are the new features you’ll want take advantage of. Here are 11 things you can do with Android 7.0 Nougat that you couldn’t do before. Split-screen mode officially comes to Android, at last, so you can keep two apps open side by side. It’s particularly handy on tablets, but it works fine on phones as well. Open the multitasking view with a tap on the Overview (square) button, then hold and drag an app title bar to the top or left of the screen, and pick another app to view alongside it. Tap and hold on the black bar in the center to change how much space each window gets. Drag it all the way to the top or to the right to go back to the original single-window mode, or press and hold the square Overview button. This one is a small upgrade, but based on our use of Nougat so far, it’s really useful. Double-tap on the Overview (square) button to jump back to the previous app, then double-tap again to return to the first app. It makes switching between maps and music in the car much easier. Doze was one of the flagship features of Marshmallow, putting your phone and its apps into a low-power mode when it detects your device is flat and still. Apps are told to check for updates and alerts less often, extending the life of the battery. With Nougat, Doze has become more intelligent, so it knows when you’re not using your phone even when it’s bouncing around in a pocket or a bag. As before, you can exclude certain apps from Doze by going into Battery from the Settings app, opening up the overflow menu (via the three dots in the top right corner) and choosing Battery optimization. Android Nougat’s Settings page has been revamped, and now shows important information right on the front screen, before you dive into any of the menus. It’s another very small but useful tweak. You can see details on battery level, volume level, remaining storage, the wi-fi network you’re connected to and current memory use (for example) just by swiping down the Settings screen. There are also suggestions at the top for Android settings you might not be aware of, but these can be hidden pretty easily. The Quick Settings pane is now a well-established part of the look of stock Android, and version 7.0 of Google’s mobile OS gives you more control than ever over its layout. Open the pane with a two-finger drag-down from the top of the screen, then hit Edit. You can tap and hold on any icon to change its position (or remove it), and drag in new icons from the list underneath. You’ll notice some key settings are always shown at the top of the notifications pane too, so you can (for example) turn Do Not Disturb on and off quickly. This has been available in iOS for a while now and makes it into Android with Nougat. The idea is if someone picks up your phone they know who to call in an emergency even if they can’t guess your PIN code. To set up your details, go to Settings then Users and tap on Emergency information. It’s up to you which fields you fill out. You can also add details of one or more contacts. The info you’ve left for other people to find can be accessed by anyone who comes across your phone by tapping Emergency under the lock screen dialer. Android already had some pretty helpful data usage tools before this, but Nougat brings with it a dedicated Data Saver option in the Data usage menu in Settings. It’s a bit like Doze for data, restricting what apps can send and receive in the background, and in theory meaning you don’t come back from holiday or a long time off wi-fi without a huge data bill. One of the biggest changes brought in with Nougat is one you can’t really see: updates are now downloaded and installed in the background, so everything should be much more seamless. Google is promising more regular updates too. The full hassle-free upgrade experience is only available to new Nougat devices, but older Nexus handsets will apply updates “much faster” according to Google, and may not require a reboot every time. Previous versions of Android had some quick actions under notification alerts, but Nougat goes one step further, letting you reply to incoming messages straight from the notification itself. In other words, you don’t have to jump in and out of the apps themselves. Support for the feature is obviously dependent on the app itself, of course, but it’s already working on Hangouts and Google’s SMS Messenger app. There are now more emoji available in Android—72 more, to be exact—taking the total to more than 1,500. If you’re still stuck for a picture to use, you’ve only yourself to blame. Some of the new emoji added this time around include an avocado, a shark, and gold, silver, and bronze medals. Not all notifications are equal in Android. Some stay pinned to the top of the list, while others are always relegated to the bottom. You can tweak these settings for particular apps in Nougat if you need to. You need to activate the hidden System UI Tuner menu first by tapping and holding the gear icon at the top of Quick Settings (which usually takes you straight to Settings). System UI Tuner was available in Marshmallow, but it now has a new Power notification controls option behind the Other menu. Switch the controls to On and you can assign each app a level of priority: the levels are all explained on the opening screen. Level 5 apps, for example, are allowed to generate full-screen interruptions; Level 0 apps can’t show notifications at all. To change an app’s level, press and hold on one of its notifications, or choose Apps from the Settings menu. Tap the A to take control rather than letting the app itself decide.